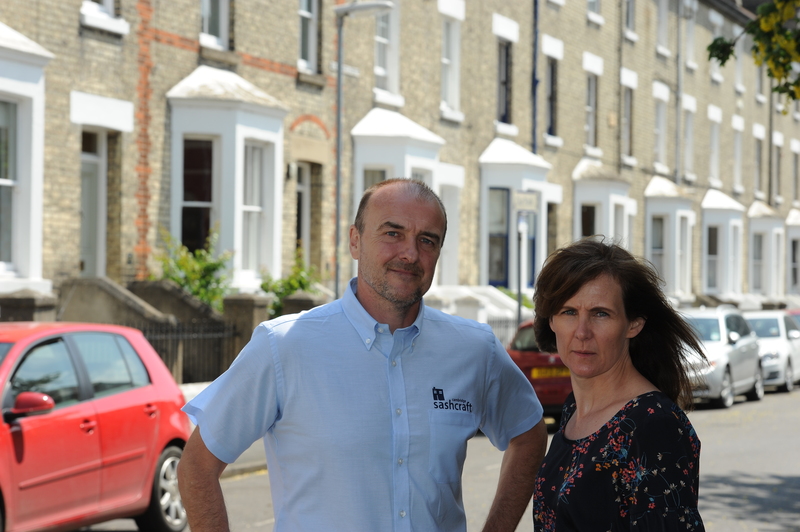 Run by husband and wife team Liam and Helen, we started life in 2000 as Collins Developments and developed Cambridge Sashcraft in 2013. Cambridge has many older properties with windows in need of attention. Cambridge Sashcraft was formed to fulfil this need. 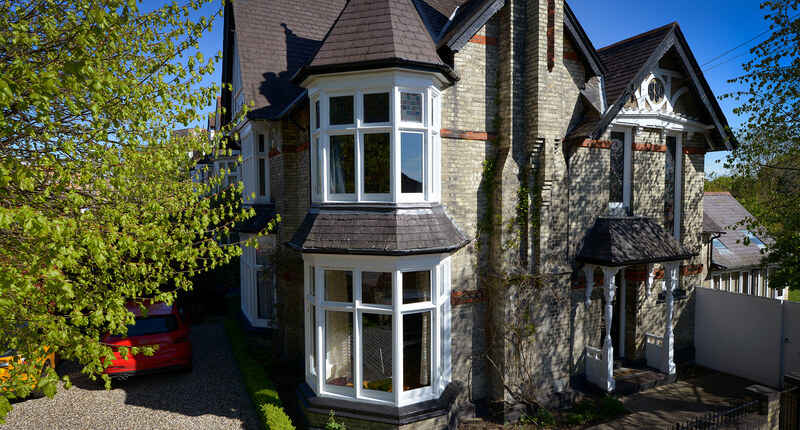 It operates under our original company, Collins Developments Ltd.
We’ve been sympathetically restoring windows in Cambridge’s homes, schools and colleges since 2013 and we are constantly looking at new developments, products and processes in order to give our customers the best products possible. Helen runs the office and Liam oversees all the work that is carried out by our team of professional local tradespeople. 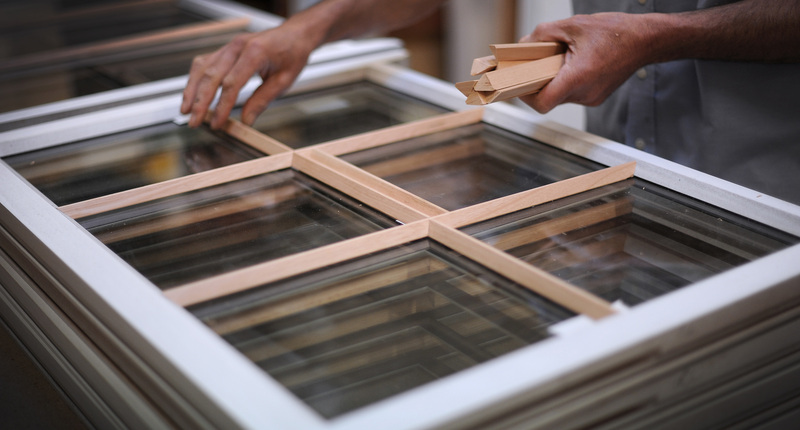 We pride ourselves on going the extra mile to help make your home warmer, quieter and more attractive. 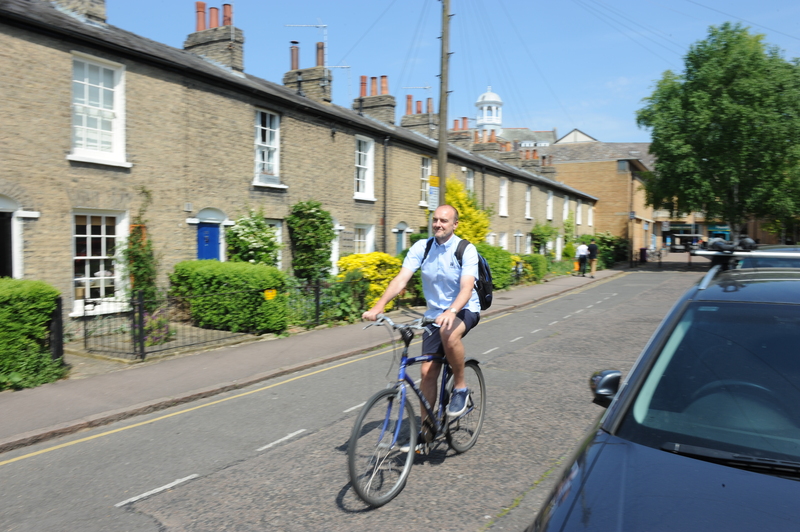 We pride ourselves on being ‘green’ and try to reduce our impact on the planet by using eco-friendly materials, repairing and recycling as much as possible and cycling to work when practical.